Clover is a beautiful harlequin bun at around 6 years old. Clover came to the sanctuary when her male companion passed away, leaving her on her own. Unfortunately since being at the sanctuary Clover bun has been through a tough time with some medical issues, however she has been treated accordingly and is slowly coming around in regards to her nervousness. She is a bit of a shy bun, but sitting with her daily and spending some time giving head rubs seems to be helping to bring her out of her shell bit by bit. This sweet lady would love a neutered male companion to live with, and preferably a quiet home where she can pop around comfortably as she pleases. Clover does love to investigate, so lots of space to do that is something she would love. 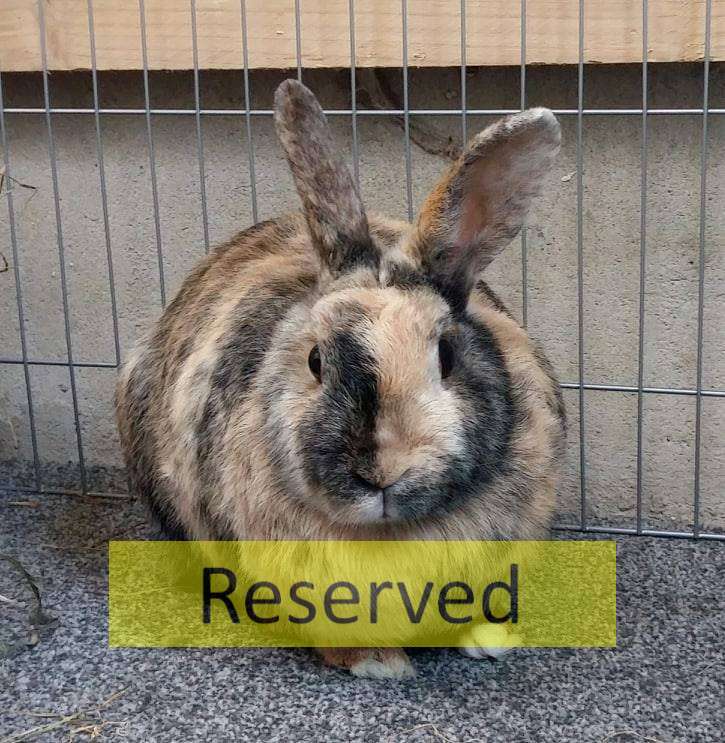 If you feel you could offer Clover a good home with a neutered male companion, please call up to the sanctuary, speak to the staff and fill out an application form!